Origins’ launches this year have been impressively effective. 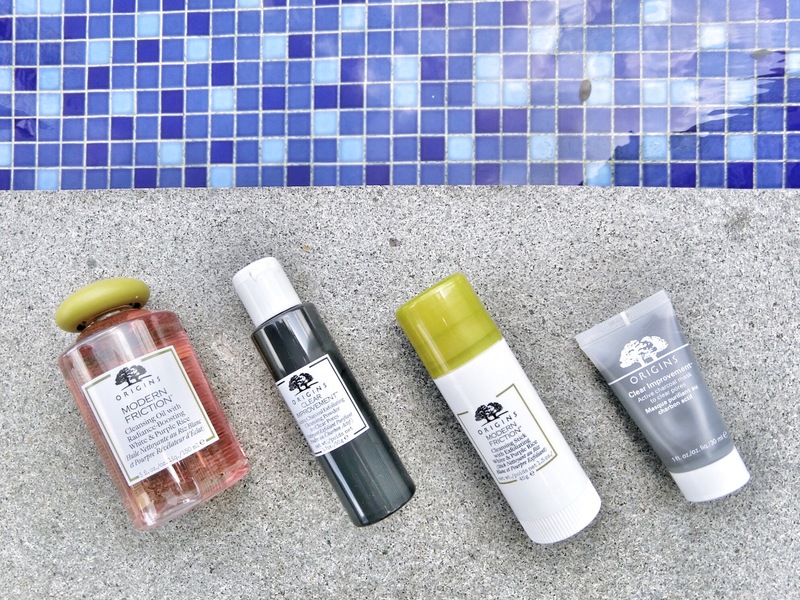 Its new trio of skincare products offer a deep yet gentle cleansing of the visage. The Modern Friction Cleansing Oil is as pretty as it is beneficial for the skin. The formula has a gold and lavender gradient, as it is made up of radiance-boosting white and purple rice oils that are mixed only when you pour the viscous concoction into your palms. And something interesting happens when you apply the oil onto your face: a soothing warm sensation that softens skins, melts away makeup, and widens pores for deep cleansing. Add water to turn oil into a milky emulsion, and rinse. This formula – which contains rice bran oil, camphor extract, and soybean oil – left my skin supple, clean, smooth, and actually clearer. Origins’ new exfoliating products are made for different skin types. For those with oilier skin, pick the Clear Improvement Active Charcoal Exfoliating Cleansing Powder. Add a splash of water (or even a light watery toner) to the fine sooty charcoal powder with kaolin and oat kernel; and turn it into a gentle exfoliating paste that deep cleanses the pores. Leaves the skin clean but not tight; with pores that look finer. Further soak up excess sebum with the clay-based Charcoal Mask; just remember to hydrate skin thoroughly afterwards as the mask can be drying. The Modern Friction Cleansing Stick with Exfoliating White and Purple Rice is a clever product. This exfoliant-in-a-stick has a balm texture, with fine bits of rice husk to lightly slough away dead skin. Use the stick directly on dry skin in circular motions, then add water to emulsify for a creamy wash. Good for skin that needs gentle care, contains coconut oil, glycerin and rice powder. After one use, skin looks brighter and smoother. Both the powder and stick formulas are ideal for travel.